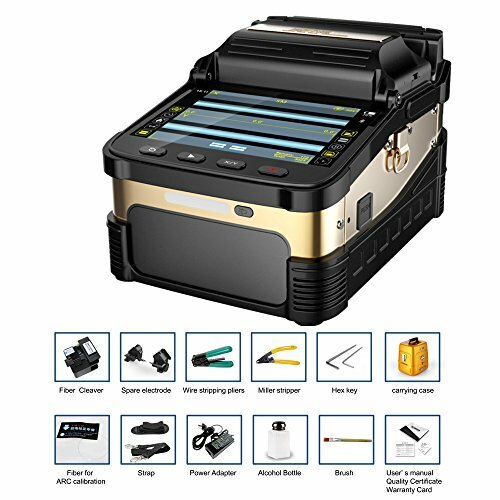 AI-8 use the latest core alignment technology with auto focus and six motors, it is a new generation of fiber fusion splicer. It is fully qualified with 100 km trunk construction, FTTH project, security monitoring and other fiber cable splicing projects.with 5-inch 800X480 high-resolution screen, the operation is simple and intuitively;and up to 300 times focus magnifications, making it is very easy to observe the fiber with naked eyes.5 seconds speed core alignment splicing, 16 seconds heating, the working efficiency increased by 50% compared to ordinary splicing machines. Screen brightness is adjustable and it is convenient for outdoor sunshine environment operation.